Social media offers a unique opportunity for you to connect with your customers. You can promote your business, provide information, and carry on live-time conversations with your audience on the platforms they spend so much time on. 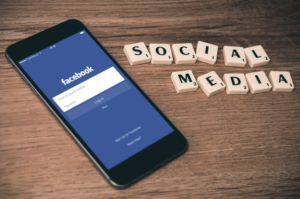 If you are unfamiliar with social media or have never used it for business, it may be intimidating to decide which platforms are best for you. With so many options available, you’ll want to invest your time and energy in the platform that reaches as many potential customers as possible. Question #1: What type of business do I have? Question #2: Where are my customers? Here are some points to consider when answering these questions. What Type of Business Do I Have? The type of business you have can help you narrow down your social media options. Are you a business that sells or makes a product? Provides a tangible service? Do you have something you can photograph or take a video of? For example, if you are a cake decorator, a quilter or a landscaper, you could take photos or video of your finished product and/or the process you went through to create it. Platforms that support photos or videos such as Facebook, Instagram, Pinterest or YouTube would be good options for you to consider. Images and videos make for powerful posts and have a high conversion rate. You should consider taking advantage of this if you have this type of business. If you provide a service, such as a writer (like me), a business coach or a financial planner, you might not have quite as many opportunities for photos or videos. But you could provide valuable advice, tips, or share information about your industry through platforms like Facebook, LinkedIn, or Twitter. If you are comfortable in front of a camera, you could use video to share this information. Are you a B2B or B2C company? If you are B2B, the professionals you want to reach may be on LinkedIn or Twitter. If you are a B2C company, your potential customers might be on Facebook, Twitter or Instagram. You’ll need to determine who your customers are and which social media platforms they are using. When you were first starting your business, you probably put some time into figuring out who your target market is. You may know their age, gender, education level, geographic location and needs as they relate to your product or service. A brief Internet search can provide you with the demographic characteristics of many of the social media platforms. For example, Pew Research Center breaks down the total percentage of Internet users who use each platform, the percentage of men and women, and the percentages by age. This can give you a good indication of where you can reach your target market through social media. Carefully consider the answers to the questions above and make a short list of social media platforms to start with. For example, if you are a seamstress that specializes in making children’s clothing, your target audience may be mothers of young children, or clothing shop owners. You may learn from your research that 44% of all women use Pinterest, 77% of women use Facebook, and 31% of women use Instagram. These are all good options to start with. Since LinkedIn is popular with working-age adults, you might want to consider adding a LinkedIn profile to connect with storeowners. Your social media option list may be a short one, and that’s okay. It’s better to start with one or two, and add on later as you get more comfortable. Social media can be a successful part of your business if it’s broken down into manageable chunks. After determining the type of business you have and where your target market is, you can make sound and smart decisions about where to invest your time and resources. If you need help with your social media efforts or would like to learn more about how it can benefit your business, feel free to contact me, or join my email list below. https://line-by-line.us/wp-content/uploads/2017/04/which-social-media-platform.png 2635 3967 LaurieZinn http://line-by-line.us/wp-content/uploads/2017/03/logo.png LaurieZinn2017-04-17 19:53:302017-04-17 19:53:30Which Social Media Platforms are Best for Your Business?